Sporah Talking to Miss West Africa UK 2012. For the first time since its inception three years ago, all the proceeds from this year's Miss West Africa UK (MWAUK) will be donated to various charities across Africa a statement just issued by the pageant's organisers has announced. MWAUK which also supports its resident charity the Joshua Tree Foundation's Ripple Scheme has been showcasing contestants representing countries from the West African region but had never reached out to the mother continent where many charities and NGO's are strapped for cash. WE STARTED WITH DELLY SINGAH FROM CAMEROON. DSF aimed at supporting exploited, abandoned and abused children in Cameroon. We give hope to the poorest children in Cameroon; those of whom are orphaned, abandoned or vulnerable – by enabling them to grow up within the love of a family and the security of a home, so that they can fulfill their potentials; Living their Dreams! Click Here>> find out more about DSF. 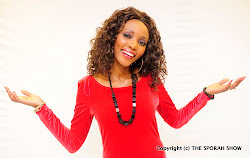 NEXT IS BRIDGETTE CHALU, THE DIRECTOR OF MISS WEST AFRICA UK. Bridgette told us, this year's contest will also represent the UK at the next Miss West Africa International billed for December 2012 in Free Town Sierra Leone. Miss West Africa UK 2012 will be officially launched on Saturday 7th July 2012 at the Nottinghill Harbour Club. THE WINNER WENT OUT WITH SPECIAL JEANS FROM BABSON ZOTTO DENIM. Babson did what only an artist could do: he re-invented the jeans, this time for the woman and only for her... Jeans can have a thousand variations, but in the end all look alike: they all start from the 5 pocket model. The jeans Babson designs, draws, sews, are a wholehearted and successful ode to the curves of a woman. 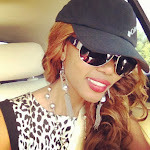 Babson loves women and it shows in his designs! Thank you all so much, the show was amazing, we had the time of our lives. 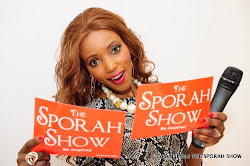 Don't Miss Out The Sporah Show Tonight 10:30Pm On Sky 182. I like the one with BIG hair.